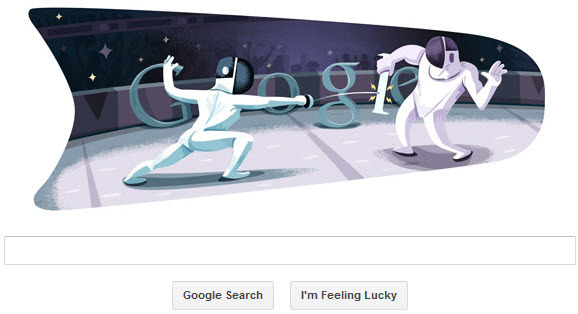 Google is celebrating 2012 london olympic with two fencers competing against each other doodle on its homepage. Fencing competitions at the 2012 Summer Olympics in London are scheduled to be held from 28 July to 5 August at ExCeL Exhibition Centre. Ten events (6 individual, 4 team) are scheduled to be contested. Qualification will be primarily based on the FIE Official Ranking as at 2 April 2012, with further individual places available at 4 zonal qualifying tournaments.